My youngest baby girl just turned the big ONE! This mama was a bit of an emotional mess wondering where the time went. It seemed I had just brought her home from the hospital, dazed and high in love with our newest addition. I was just cuddling her on the couch, with her whole hand clutching just one of my fingers and all of a sudden, she’s walking on her own! My hubby and I have cherished every single milestone our third babe has reached and really, we would run to be the first to cuddle her when she woke up from her naps. Just like her older sisters, she stole our hearts from the moment she was earthside! 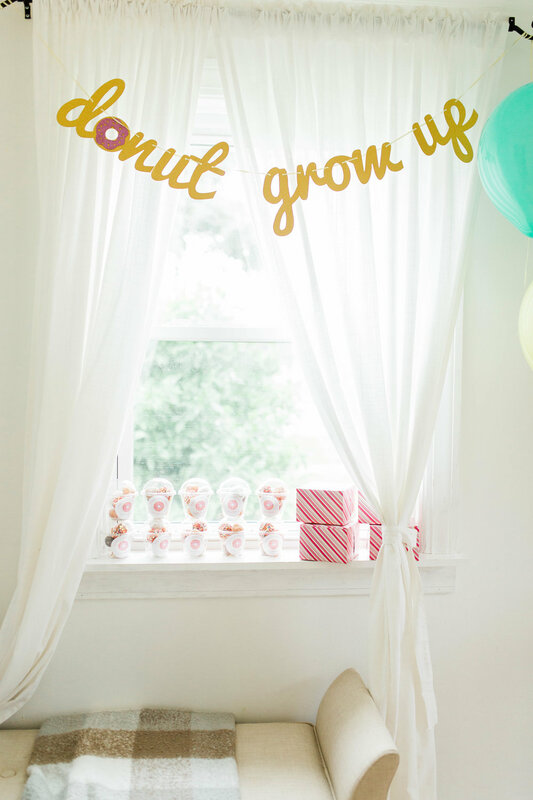 Naturally, we had to throw her a “Donut Grow Up” themed party for her first birthday. 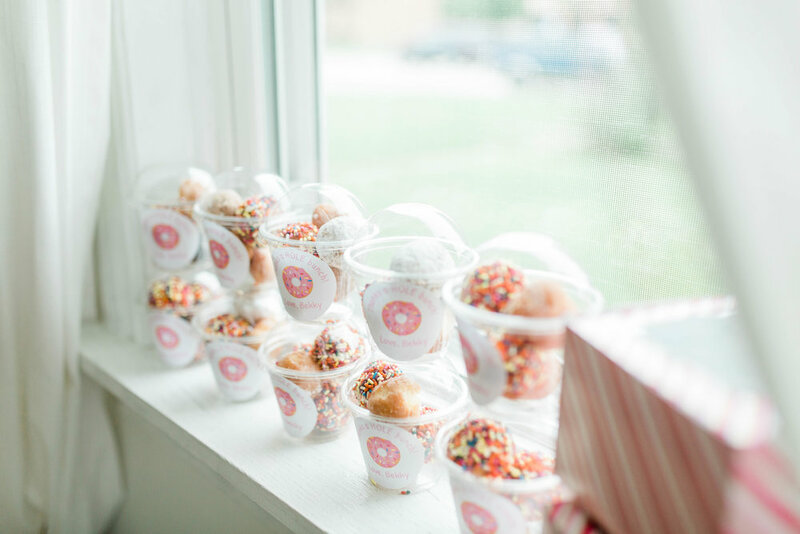 This was so much fun to plan and with the help of Maryann from MK Brides and Events, such a great stress-free first birthday party! There were so many highlights and details that I absolutely loved. 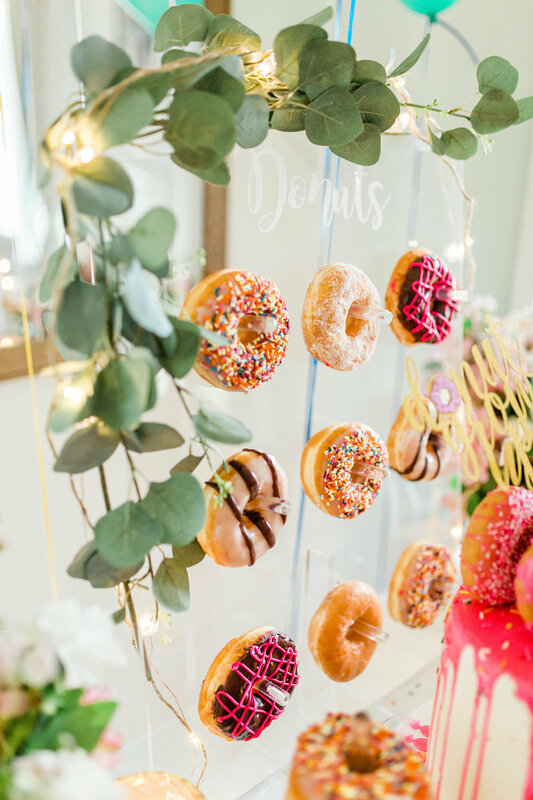 From the sprinkle candle votives to the milk jars to my favorite of all: the donut wall that I was able to rent from MK Brides and Events, it was the perfect centerpiece to our dessert table and Maryann added the girliest, most colorful donuts I’ve seen on it! 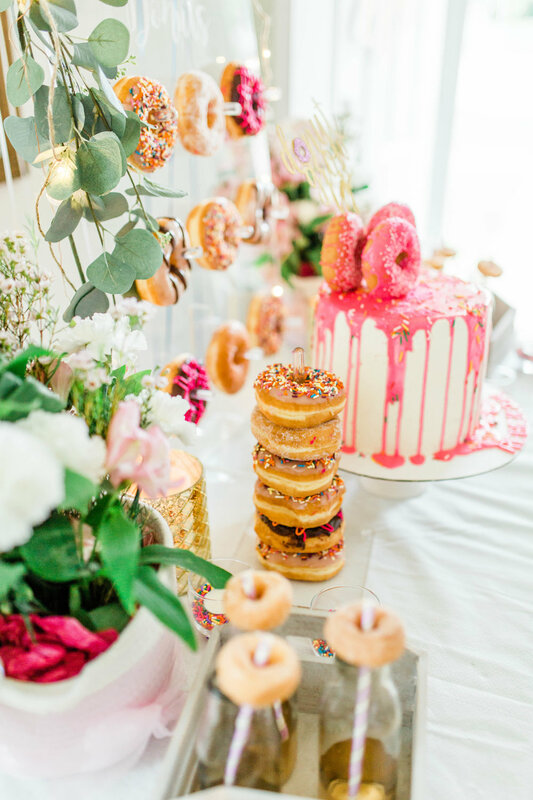 There were so many other talented vendors involved in Bekky’s First Birthday Party including Neeran from NL Sweets, who made the beautiful (& delicious) hot pink donut cake. The Party Penguin who created our birthday party favor tags & Erika from Baby Bee Tees who created our baby’s First Birthday onesie. My baby girl rocked her onesie! 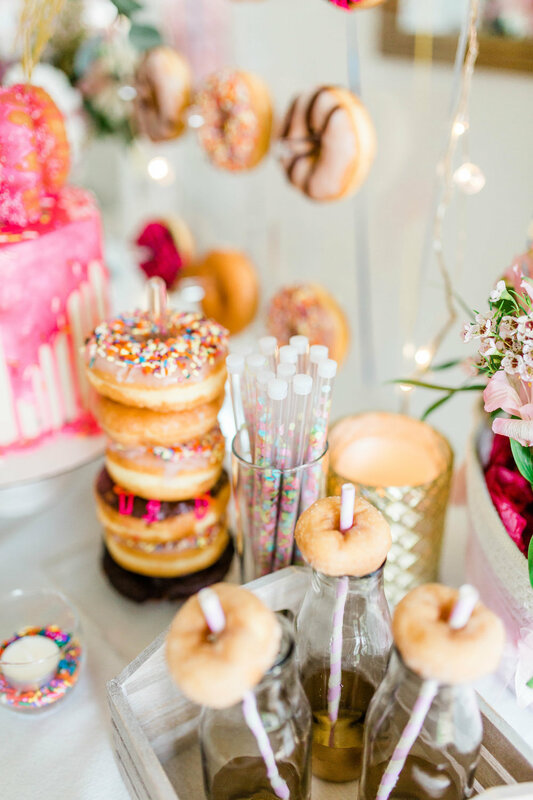 It was an unforgettable First Birthday Party especially because our little girl was surrounded with so much love (& the donuts weren’t too shabby either). 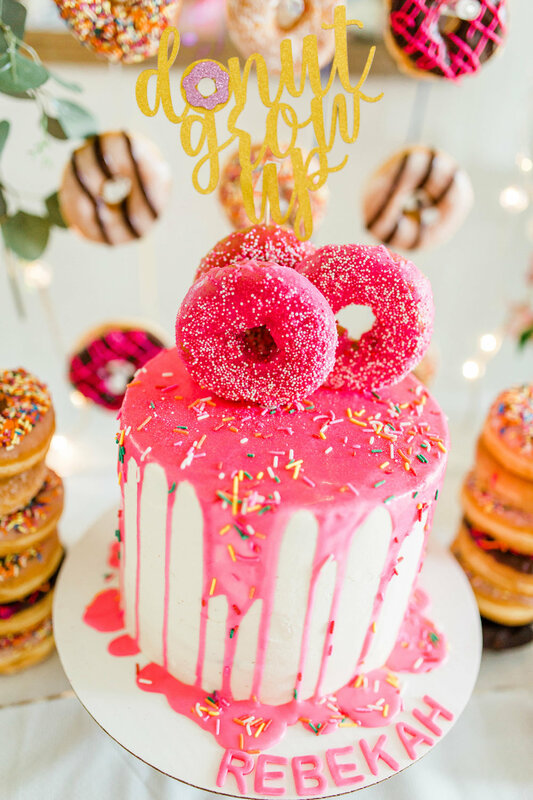 Till the next birthday, please Donut Grow Up too fast, little one!